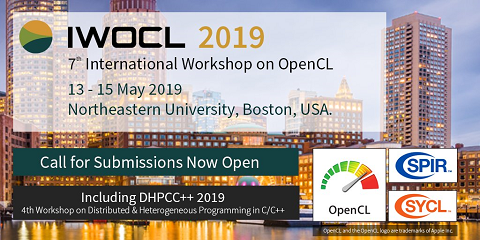 The International Workshop on OpenCL (IWOCL) is an annual meeting of OpenCL users, researchers, developers and suppliers to share OpenCL best practise, and to promote the evolution and advancement of the OpenCL standard. The meeting is open to anyone who is interested in contributing to, and participating in the OpenCL community. IWOCL is the premier forum for the presentation and discussion of new designs, trends, algorithms, programming models, software, tools and ideas for OpenCL. Additionally, IWOCL provides a formal channel for community feedback to the Khronos OpenCL promoters and contributors.